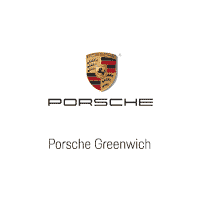 Porsche Greenwich is committed to providing a world-class car-buying experience to Connecticut and New York drivers. When you’re shopping for the car of your dreams, look no further than our premier Porsche dealership in Fairfield County. Each model we showcase features the sleek, agile body of a sports car and a sophisticated, luxurious cabin: the product of flawless engineering. We’re proud to offer the full lineup of new Porsche models at our Porsche dealership near Stamford. If you’re searching for a sporty new ride with plenty of horsepower, get behind the wheel of a new Porsche 718 Boxster or Panamera. When you’re interested in luxury seating for a larger crowd, allow us to suggest the Porsche Cayenne or Macan. Each model can be tailored specifically to your individual needs and requirements, so we can ensure your Porsche is perfect for you. At our Porsche dealership near Norwalk, we make driving home in a Porsche more attainable by offering a selection of Certified Pre-Owned Porsche models, too. Stop by our showroom, where our customer service professionals will readily share all the information necessary to help you make the right decision for your lifestyle. Once the papers are signed and you’re a proud Porsche owner, we’ll continue to assist you with all your service and repair needs. Our expert Porsche service team is well-trained and properly equipped with the specific tools required to care for these high-quality vehicles. We’re also your prime resource for genuine Porsche parts and accessories. Our service center specializes in caring for Porsche models, and we can guarantee our assistance will only enhance the dynamics of your vehicle. At Porsche Greenwich, we are as passionate about providing you with a positive dealership experience as you will be about driving your new Porsche. Conveniently located at 241 West Putnam Avenue in Greenwich, we’re just a short drive away from New York City and New York’s Westchester County. Visit us today for a first-class customer service experience! I would like to thank the team at New Country Porsche of Greenwich for a delightful purchase experience of my new car. I have been to many dealerships , but this dealership is by far the best. They exceeded my expectations. Nice facility, volume dealer with great salespeople, but the area drives prices way over market. People seem to pay the prices, but shopping will easily find better deals elsewhere. Patrizio was fantastic. I got introduced to him by a common friend and he was very helpful. No pressure to make a decision and we worked together over a number of months to find the right car for me - this was great. When we found the right car, we moved fast together and Patrizio was very helpful in getting me in the seat! What I liked the most here, I felt like I got a fair price and a great car. It was easily the best experience I've had buying a car and I would recommend that anyone considering a new or used car should go see Patrizio. Also will note, Paolino was great on the financing side - quick, painless, and very strong on communication. 10/10 highly recommend! This is my fifth Porsche from this dealer and every time the experience is the same: - they are informed on their product offering. - they take their timing explaining the various options. - there is never a hard sale. - upon delivery, they take the time to give you detailed explanation. - after you leave the dealership, call with a question and they are glad to help. a Porsche is expensive but you get what you pay for - a great ride and great service.